Small red chili peppers that have a relatively mild heat make a versatile base for a number of famous dishes in Calabria – the region famous for its spicy cuisine. 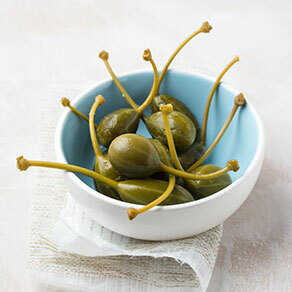 Stuffed with tuna, capers and anchovies, these peppers have a flavour that mingles with the creamy filling without overwhelming with too much heat, and therefore make for a fantastic appetizer or side dish to accompany any meal. Make it into a weekend project and bring a touch of Calabria to your table. Chili peppers are thought to have arrived in Italy in the early 16th century. Many Italian dishes incorporate chili peppers as a flavoring, commonly in its dry form, but its use is especially widespread in the Calabrian cuisine. Chili peppers stitched on wires adorn Calabrian homes in the late summer where they are left to dry in the sun, or preserved in oils – it is common to find chili infused oils used in pasta dishes or jars full of stuffed chili peppers in the pantry of a Calabrian home. Stuffed peppers are not difficult to prepare. However, once they are lightly boiled in vinegar and wine, they will need a few hours to completely dry on paper towels. Go through this first step earlier in the day to finish off the peppers in the evening, or alternatively leave them overnight to dry, to have them ready the following morning. Boiling the peppers takes an edge off the heat, while softening them and adding an extra dose of flavor that is perfectly accommodating for the creamy tuna mixture. The chili peppers used in this recipe are those often called ‘cherry chili peppers’ or also ‘Calabrian chili peppers’ in Italy, but any similar variety with a spacious cavity and mild heat should do just fine. For a complete aperitivo experience, serve the stuffed chili peppers alongside a focaccia or some mozzarella in carrozza. Wash the peppers thoroughly. Chop off the tops and deseed the peppers entirely, emptying out their cavities of both seeds and any white pits. In a medium pot, pour in the wine and vinegar, add the bay leaves and bring to a boil. Add the peppers in the liquid and boil for 3-4 minutes on medium heat. Remove the peppers and drain on a clean tea towel. Leave the peppers to dry completely for 3-4 hours, or overnight. 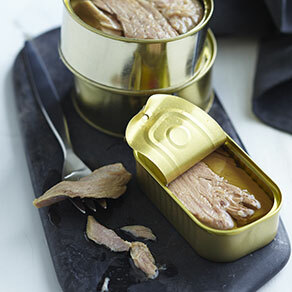 Finely chop the capers and anchovies, and place in a blender along with the drained tuna. Blend mixture until it is smooth and creamy in texture. Using a small spoon, stuff the peppers with the tuna mixture. 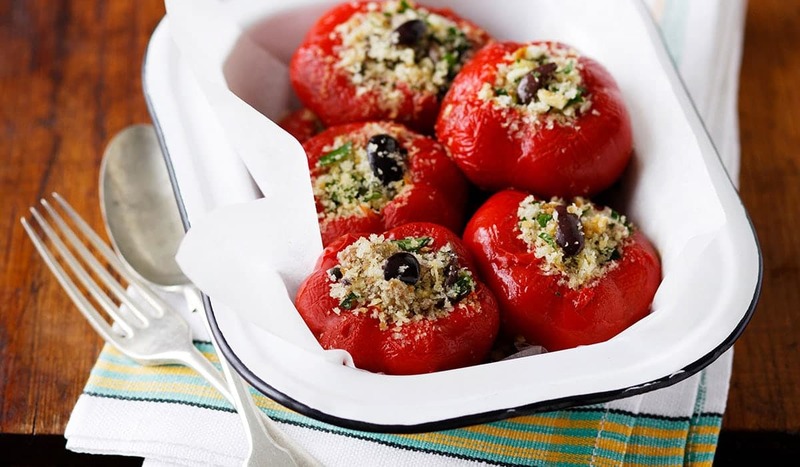 Serve immediately or alternatively, conserve in oil: carefully place the stuffed peppers in the sterilized, heatproof jars, positioning them so that the open ends of the peppers are facing up. Fill the jars with olive oil, so that all the peppers are merged in the oil. 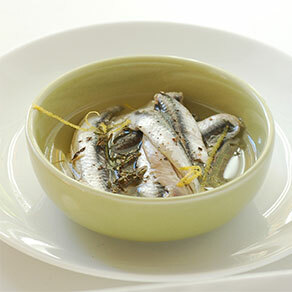 Close the lid tightly and in a large pot full of boiling water, boil the jars for 15 minutes. Let cool and store in a cool and dry place away from direct light. If conserved well, the peppers should last a couple of months. Once opened, they are best consumed within a couple of days. 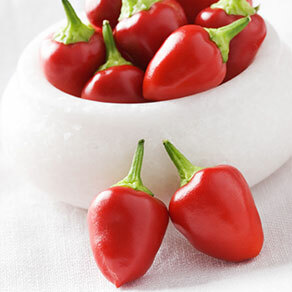 Did you know that in Diamante, Calabria, there is an annual festival dedicated to chili peppers, the peperoncino? Since 1992, for 4-5 days in September, tens of thousands of visitors descend on this small town to take part in events such as the annual chili eating competition. There is also a huge variety of regional products on display at the market that runs along the seafront promenade. Keep an eye out for products with names such as ‘Bomba Calabrese’ – literally meaning ‘a Calabrian bomb’ that incorporates the hottest of chilies into a paste that is as addictive as much as it burns!